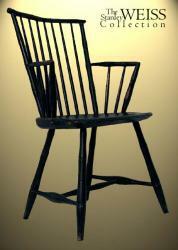 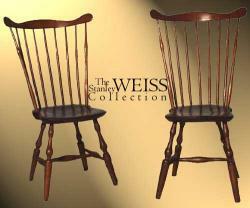 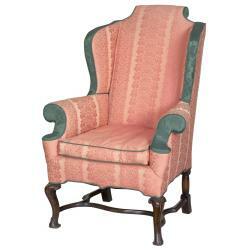 Pair of Windsor Chairs, c.1780. 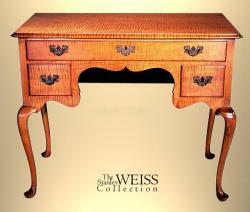 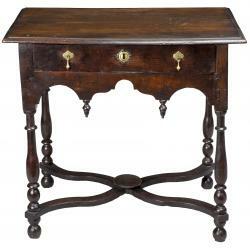 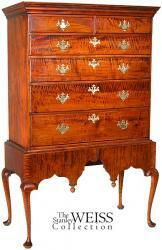 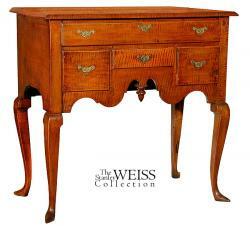 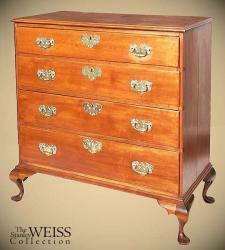 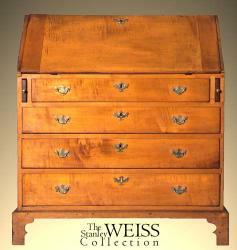 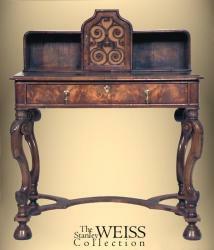 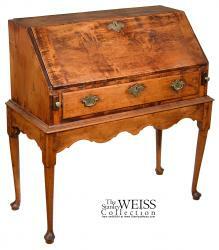 Baroque Style Burled Walnut Veneer Writing Desk, c.1860. 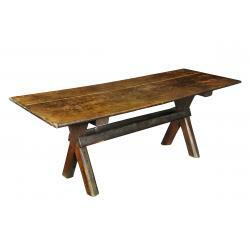 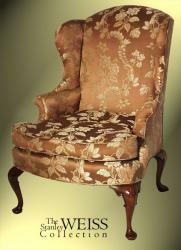 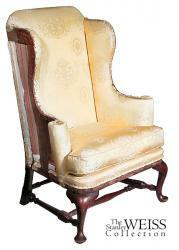 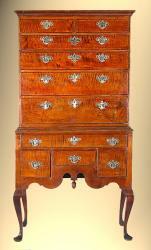 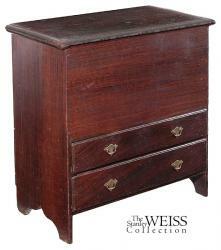 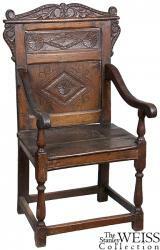 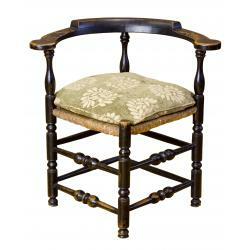 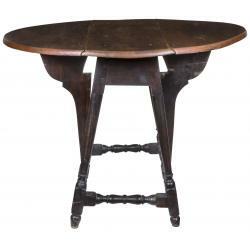 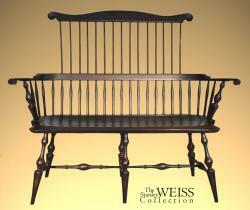 18th Century Mahogany Upholstered Bench. 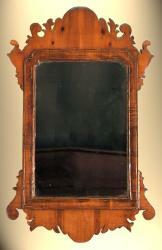 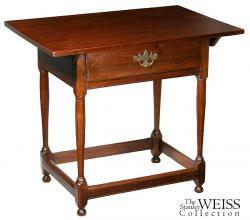 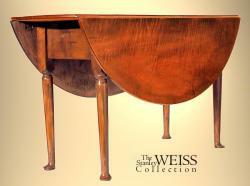 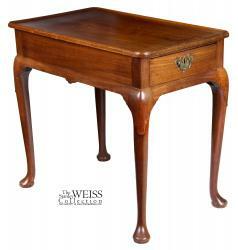 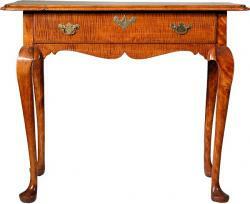 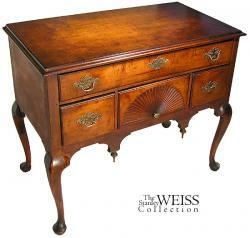 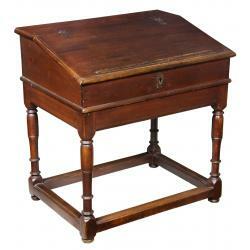 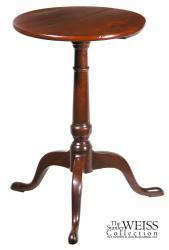 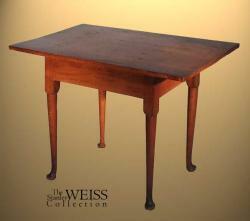 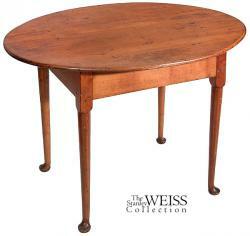 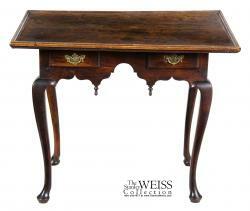 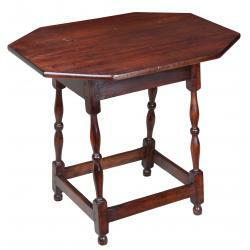 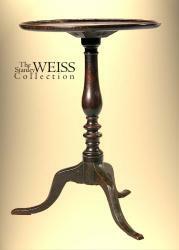 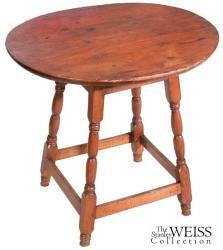 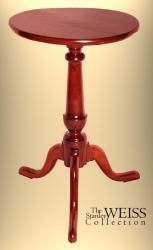 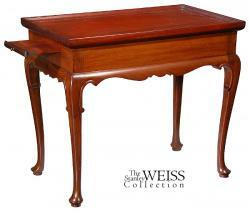 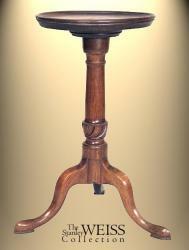 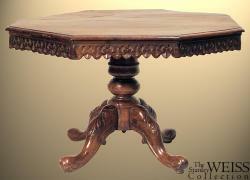 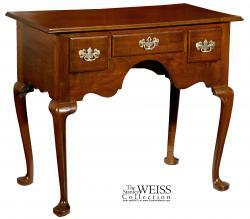 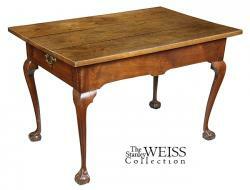 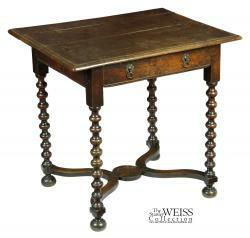 A Queen Anne style Mahogany Tray Top Tea Table, branded "Bussolini Bros. West Quincy, MA"